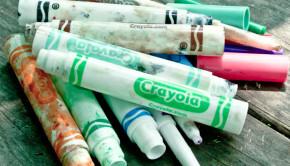 Find SOMETHING to do with those used markers before they go sit in a landfill for forever! 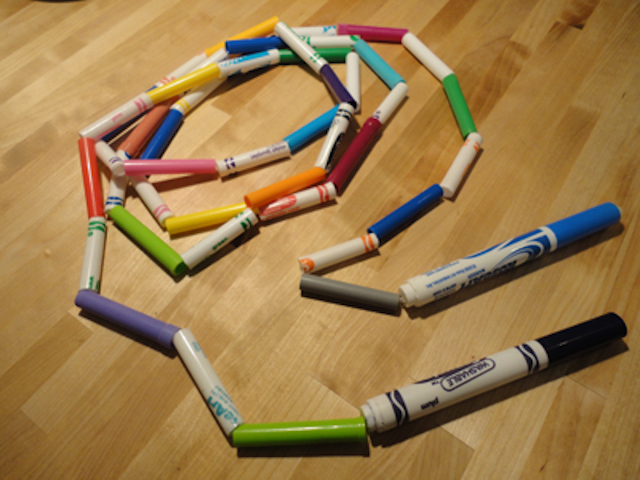 Below are five ways to reuse markers and pens instead of tossing them. 1. marker jump rope: A handmade jump rope is always ideal so that it will be correctly sized to the jumper, but you can’t just cut off a piece of rope and start jumping–you need some heft. These DIY marker jump ropes add the perfect weight to a jump rope; the used marker jump rope from Mommy on a Shoestring uses both the marker bodies and the caps, while the DIY jump rope from Mama’s Little Muse uses only the caps, for a colorful, easy-to-swing skipping rope. 2. toddler painting: Even when markers are too dried-out for drawing, their inner ink reservoirs always have something extra inside for crafting. Simply Alicia used this concept to do dried-out marker bubble painting with her toddler. 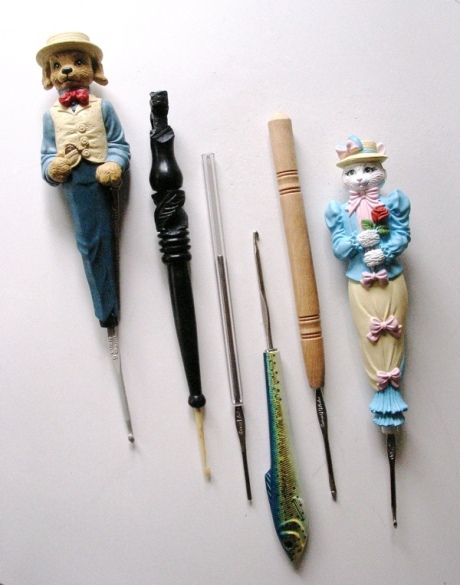 3. give them to the Pen Guy: The Pen Guy makes art from an astonishing array of old pens and markers, all of which are donated by people like us! 4. toys: The recycled Hanukkah Menorah from Inna’s Creationsincludes candles with bases made from old marker barrels and quilled paper flames. Considering how much my kiddos loved playing with unlit candles and play food when they were younger, they would have LOVED to have a stash of candles like these. For another cute kids’ toy idea, check out the marker cap finger puppets from All Free Kids Crafts. 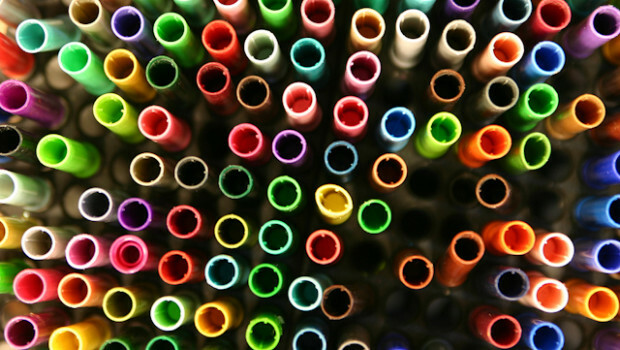 5. crochet hook holders: LadyWillow’s TreeHouse uses old pen and marker barrels to craft upcycled crochet hook holders. This project works especially well with novelty pens, since the holder’s purpose is to give a unique look to the crochet hook. 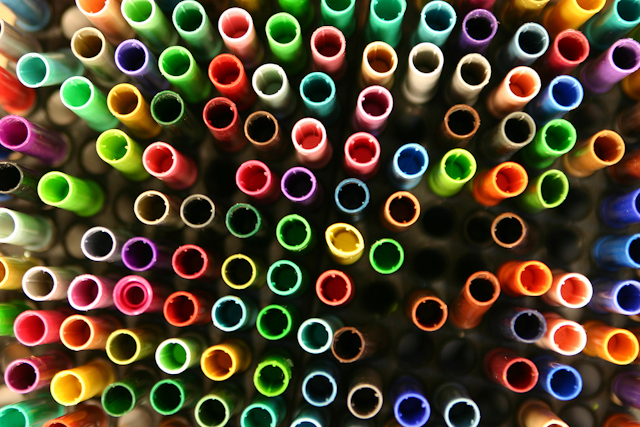 Do you have a favorite way to recycle old pens and markers? Please share them in the Comments!